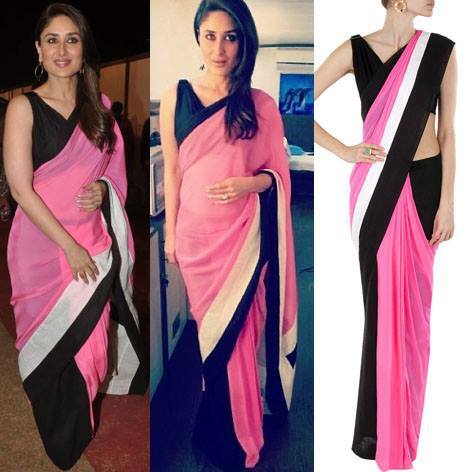 Kareena Kapoor Khan was spotted in a gorgeous Shivan & Narresh saree that is currently available on Pernia's Pop-Up Shop. Loved this saree for the sorbet pink juxtaposed with the black and white. Super Like!